Diggerland hosted us. All opinions are my own. Planning a trip to Diggerland USA soon? Read these tips to have a fun-filled day! Visit early in the season. 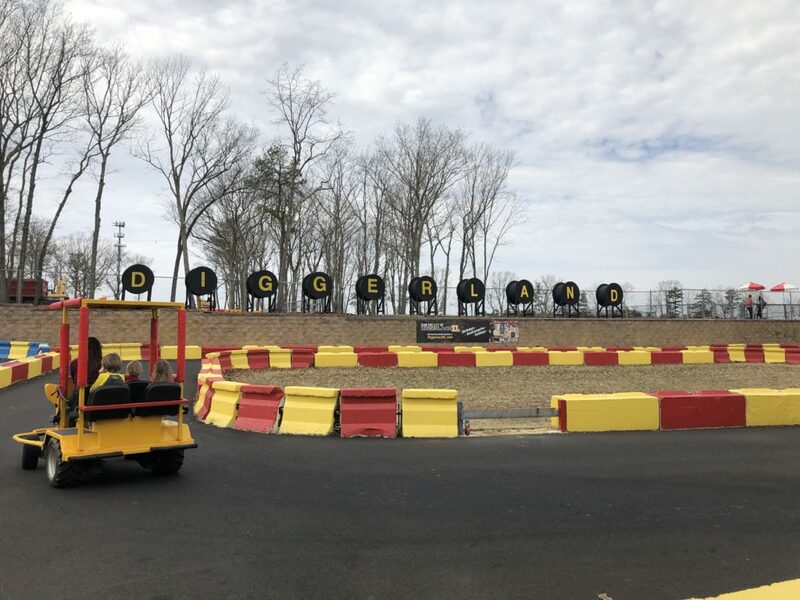 Diggerland is one of the first outdoor attractions in the mid-Atlantic region to open for the season. 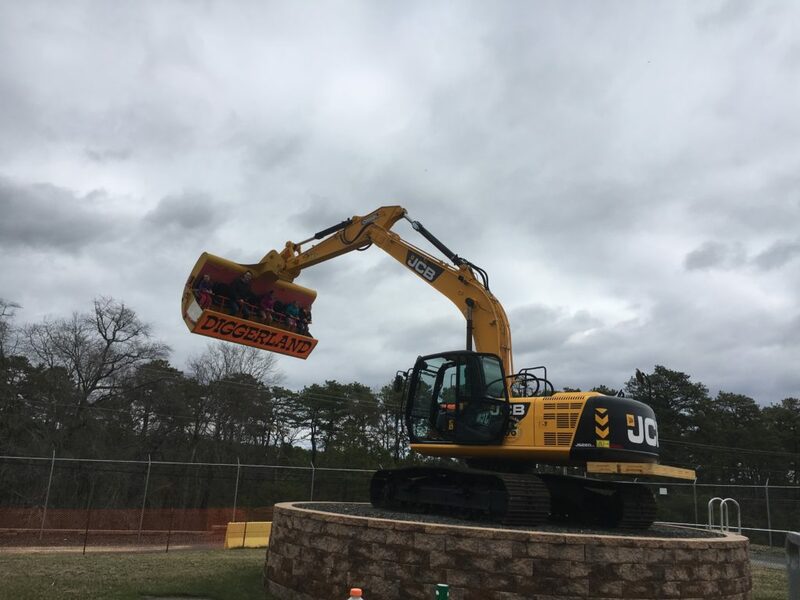 While most amusement parks wait until early April or even later in the spring, Diggerland opens in mid-March. These early operating days in the spring and early summer are some of the best days to go! Stay clean! Even though there’s a ton of dirt, Diggerland is surprisingly clean! While there’s a ton of opportunities to play in the dirt, we love that hands and clothes stay mostly clean because it’s the construction equipment that does the dirty work! We always pack some baby wipes to get cleaned up after a fun day at the park. Want to Soar? One of the newer rides at Diggerland is the Soaring Eagle, a zip line that takes you up to 130 feet with an exciting ride back to the ground. While you can see it from the main entrance and purchase tickets (there’s an additional fee for this one ride) with admission, if your child decides later in the day that they’d like to ride, other places within the park sell the tickets, like the Fork Lift Cafe. Food options. 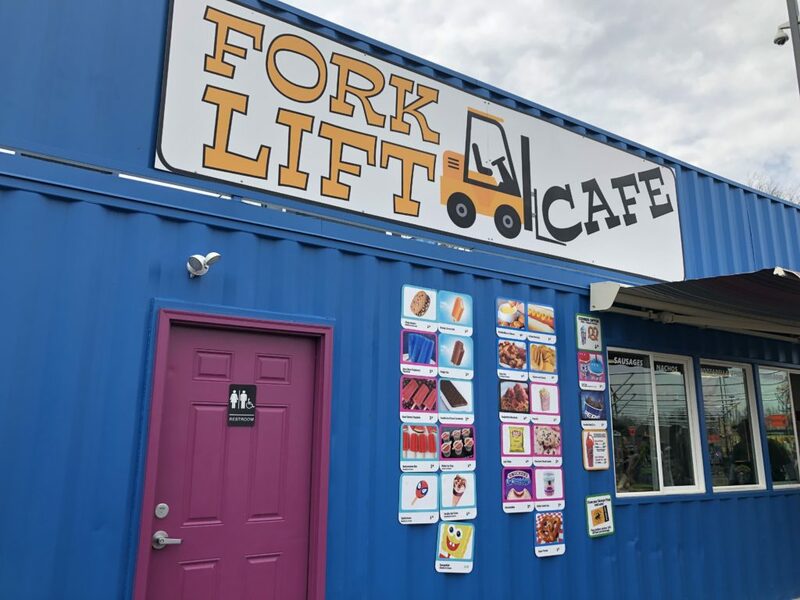 If you’re kids are hungry during a peak eating time and there’s a long line at The Lunch Pail, take a stroll to the left of the front gate and visit the food stand at the end of this path, called Fork Lift Cafe. While the main food stands were very busy, this one had hardly any line. Dig first! We find that the diggers that line the back of the park get the longest lines. Plus, we love to try all of the different “games” that the diggers offer, including bowling and pick up a duck. My kids often want to ride these multiple times. So, we always head to these first and get our fill of them before exploring elsewhere in the park. Diggerland Events. 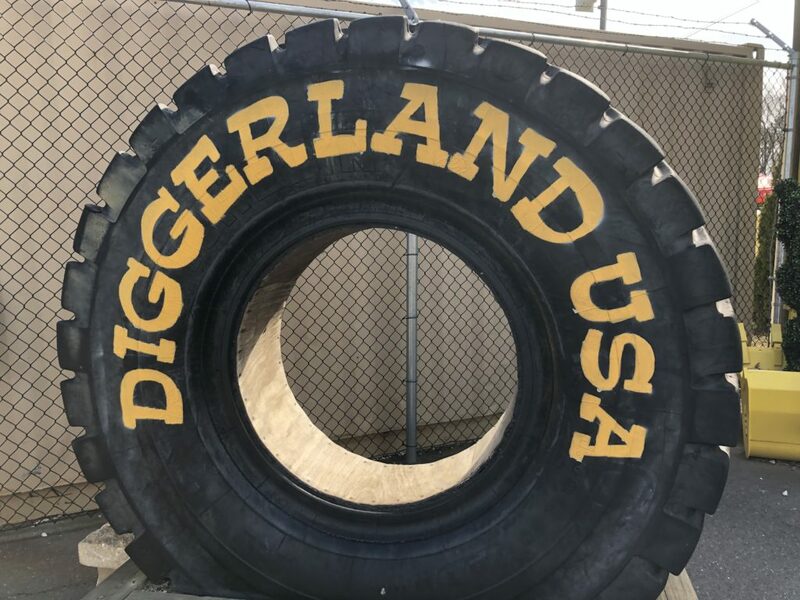 Check out Diggerland’s calendar throughout the year for their fun and unique special events. On the day we visited, LEGOLAND Discovery Center was there with their LEGO building kits, along with meet and greets with Emmet. There are tons of other fun events during the year, including a camp out / sleepover in the park! Adults can get in on the fun. Even though I always describe this amusement park as a construction-loving kids dream come true, it’s also the type of place where I see adults having as much fun as the kids. Where else would you get a chance to operate this equipment in a safe and fun environment? I have as much fun as my kids when I help them operate the diggers. Prepare your kids before your visit. Like any other amusement park, there are height restrictions for operating or riding each attraction. You’ll find that most rides are available to kids who are 36″ and taller. 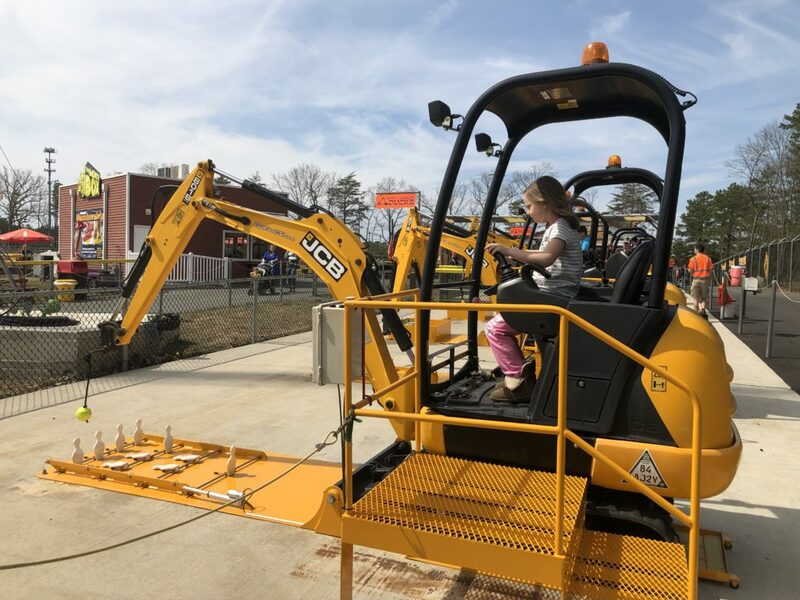 Before our visits each year, we review the rides on the Diggerland website with our kids, explain which attractions they will be able to ride alone, and which will require an adult. Then, they are prepared for their day.